Indiranagar, the place which was named after the former Indian Prime Minister Indira Gandhi is one of the most expensive regions in Bengaluru. It is also the newer area in the city and welcomes migrants from all around the nation. The boom in the IT sector converted this residential area into a commercial arena of Bengaluru. Now the place has many renowned educational institutions and hospitals within reach of residential space. Also, its closeness to commercial zones of Koramangala, Brigade Road, M.G Road, and Airport Road made the city to turn out as a cosmopolitan region. The urbanization has completely changed the face of Indiranagar. Now it is no wonder to see vehicles placed end to end throughout the length of the road. That’s how populated the area is. Do not worry, if you reside in this locality and plan to learn car driving here, SharpDrives will assist you wholly in this aspect. Our team of highly skilled trainers will help you become an expert driver who can drive safely as well as responsibly in the streets of Indiranagar. We have various courses that offer all the required techniques on car driving right from the beginning. You can find some major IT companies such as Wipro, SAP Labs, Cisco, AT&T, Intel in this locality. Also, two prominent IT hubs -Whitefield and Electronic City are at a closer distance. The city is also surrounded by traffic-filled streets of Bengaluru such as HSR Layout, Devarabisanahalli, and Sarjapur Road. Besides, the Outer Ring Road which passes through Bellandur connects east and south Bengaluru. If you have ever traveled by this route, you might have noticed the crowded streets of Indiranagar closely. Worry not, if you are planning to book a new car or learn car driving in this area, Sharp Drives will guide you on becoming an expert driver no matter which area you reside. We have a set of skilled instructors who will assist you in all aspects during your course period. We will make you a responsible driver by offering all the essential training on car driving right from scratch. SharpDrives helps you learn car driving in Indiranagar with ease. Our only focus is to make you an expert driver and see you drive stress free on the busy streets of Bengaluru. We have a team of experts who provide all the essential training within your course period. You might have struggled to drive on the traffic-filled streets of Indiranagar before but it will not be the case now! It is a promise from SharpDrives that you can drive confidently with a smile on your face by the end of your course. Book your session today to know the difference yourself. We offer car driving lessons in your own car at your own comfort. Hence you will be driving with perfection even after your course. Also, our team will guide you to drive in the challenging areas of the city. 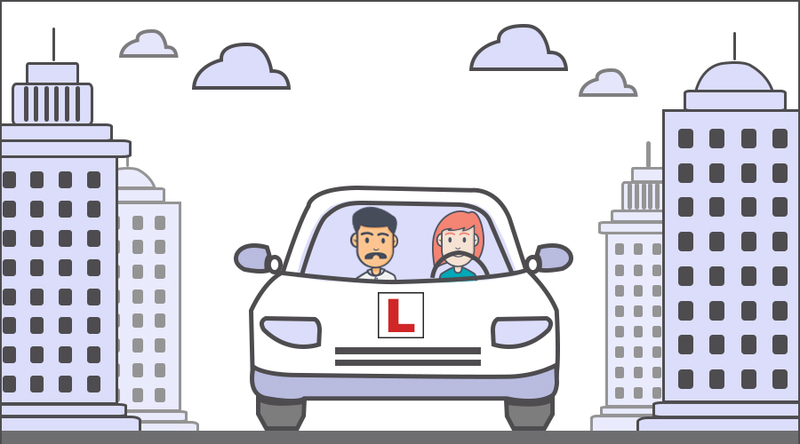 These lessons will help you drive safely in and around Indiranagar like a professional and confident driver. Our courses come with an affordable price range that makes your every penny count. In case you have a shortage of time, you can opt for crash courses that cover all the necessary parts of car driving in a very less time. Hence you can save both your time and money by learning from Sharp Drives. Be it a beginner or a person who wants to level-up your driving skills in the traffic-filled areas of Indiranagar; our instructors will offer the necessary training to help you become the best driver. What is The Best Time to Learn Car on The Roads of Indiranagar? The streets of Indiranagar are often packed with vehicles almost every day of the week. Hence if you reside in this area and wants to master the skills of driving, we recommend the early morning classes from 6 a.m. to 8 a.m. You can quickly grasp the techniques in the morning session than any other part of the day. Our classes will also operate on weekends. So, you can opt for weekend courses if you cannot manage the time for car driving training on weekdays. The best time for car driving training on weekends will be from 7 a.m. to 11 a.m. You are also free to modify the session timings based on your convenience. We will always be happy to teach you no matter what time you choose.